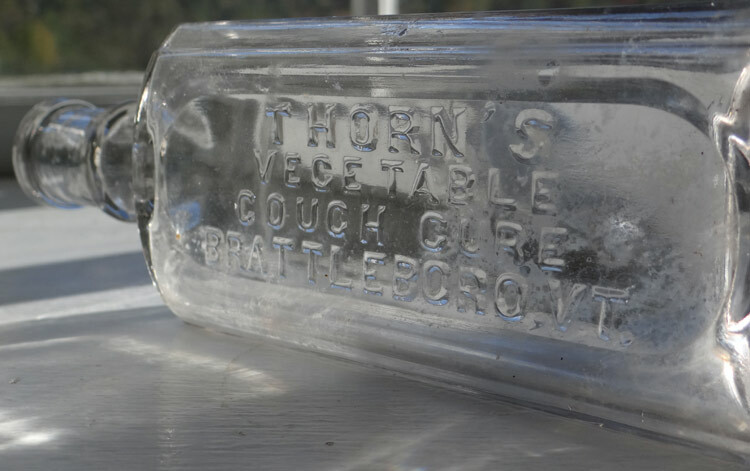 styled as Thorn’s Medicine Co. and was also selling a Vegetable Cough Cure (Courtesy of Bill & Betty Wilson). 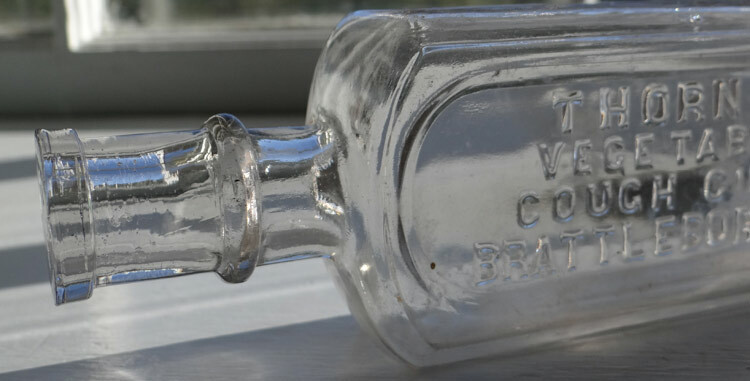 Other products included the "Hop and Burdock Plaster” the "Hop and Burdock Pill" and "Thorn's Sarsaparilla.” This Vermont Cough Cure with ring neck is extremely scarce and would make a great addition for any Cure Collector’s collection. Condition: Very good, strong embossing. There is some content haze.